WordPress makes it incredibly easy to set your website up the way you want it. Sometimes, though, it is not as easy to make changes to get the desired effect. One example is if you want to change a post to a page, or a page to a post. By default, WordPress doesn’t let you change the post type when a post (or page) is already published. Fortunately, there is a super simple plugin that allows you to change a post to a page (or vice versa). Keep reading to learn the difference between a post and a page, what plugin you need to change back and forth, and why you’d want to change a post to a page. Put simply, there is one major distinction between posts and pages in WordPress. Posts include a timestamp, which implies a certain level of timeliness to the information being offered. They are listed in reverse chronological order on your homepage and all of your archive pages, unless you do something to change the order. Pages are “static,” lacking a timestamp and, in theory, remaining forever relevant to your visitors. Another, less important difference is that while posts can be labeled with categories and tags, pages cannot. You can nest them beneath other pages, though. WordPress doesn’t allow you to change a post type by default. Tasked with a need to switch your post to a page, your inclination might be to simply copy and paste the post content to a new page. Then delete the old post. Unfortunately, this isn’t the best approach. Fortunately, there is a plugin that allows you to accomplish this simple task. Post Type Switcher is the most well-known plugin for this purpose. As shown in the image above, it simply adds a drop-down menu to your Publish box that allows you to change the post type. You can also change the type using Quick Edit on your Posts or Pages list, or using the bulk editor. This plugin comes in handy, of course, if you create a post or a page as the wrong type. Instead of having to recreate the post or page, you can simply switch it to the post type you intended. There is another reason you might want to change a WordPress post to a page, though. Keep reading to learn why. When Should You Change a WordPress Post to a Page? Often, you will link to your pages in your navigation or your footer – on every single page of your website. 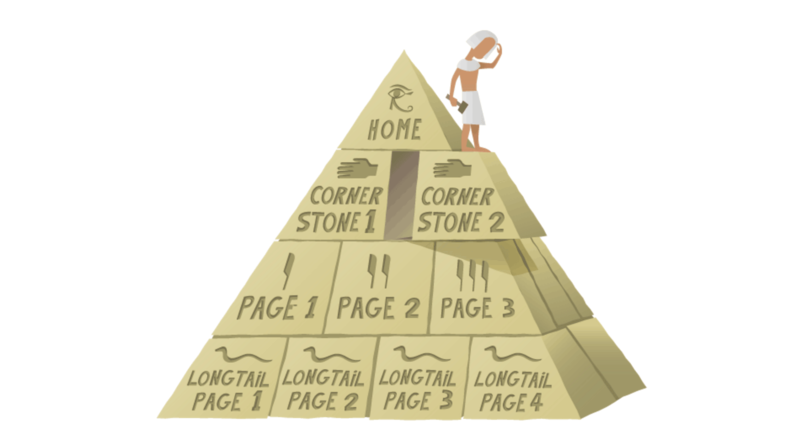 That means that as far as your site’s hierarchy goes, those pages are rather high up. They have a lot of power. Search engines are good at recognizing their importance relevant to the posts on your site. Know what else should be high in your website’s hierarchy? Cornerstone content. Coined by Brian Clark in a 2007 article for Copyblogger, cornerstone content or “flagship content” is basic, instructional, and essential information. This kind of content is “broad and wide,” and serves as a long-form introduction to one of the major themes on your site. There are other advantages to creating this content as a page, if you do it right. For one thing, in most situations, pages do not include a timestamp. 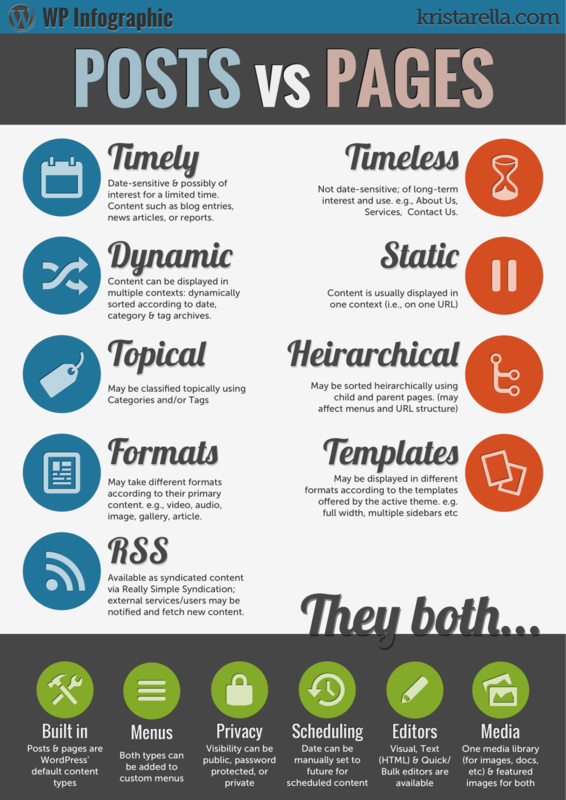 This can make the content seem more timeless, as long as you keep it up to date. Also, while they are not included in your archives, pages are perfect for including in your site’s navigational architecture, and can serve as link hubs for whenever you write about a related topic. Often, you won’t realize you’re creating cornerstone content when you first create it. Often, cornerstone content begins as a regular blog post. Then, you expand on it and expand on it until it becomes obvious how important that one post has become. Using a plugin like Post Type Switcher, you can change that post to a page. This allows you to improve your website’s hierarchy and benefit from the additional search engine optimization (SEO) benefits pages enjoy in WordPress. Are Pages Actually Superior to Posts for SEO? Of course, as with most things SEO, there is not necessarily a clear answer about what is actually better. Some argue that posts have some advantages in that WordPress will automatically create a clear linking structure for the post through its categories, tags, and other archives. There can also be some benefits to having a timestamp appear on your post. If you’ve updated it recently, it can make your content look especially fresh — something search engines like Google seem to value. Some websites and blogs always seem to have the freshest content when they appear in the search engine results. This is often because the content creators go through and slightly tweak the provided information, then update the content creation date. There you have it – a super simple way to change a post to a page (or any other post type). Whether you want to change post types because you created the content as the wrong type, or you want to elevate a post to cornerstone status, the Post Type Switcher plugin is a simple solution. Have you ever needed to change a WordPress post to a page or vice versa? Share your reasoning for the switch and how it went in the comments below! I had to switch from listings to posts and this plugin was super easy to do. In Yoast SEO plugin there is an option to make a post content Cornerstone?? If checked that does NOT make the page a post, correct. I really enjoy reading your articles (which I guess you call “posts”), and especially those which refer to use of various plugins. That said, I ALWAYS make a beeline to the plugin’s page and the REVIEWS. “Be CAREFUL with this plugin. On its own it works well. However, if you have another plugin that also modifies the save process of a post, this plugin will go into an infinite loop and save the the same post thousands of time. To recover from this you need access to your database and SQL experience to delete these thousands of posts. MY POINT ? BE CAREFUL. BE VERY CAREFUL….when TESTING a plugin. MAKE A BACKUP BEFORE, NOT AFTER YOU “TEST”. TEST FOR MORE THEN 5 MINUTES. USE A STAGING SITE IF AVAILABLE. Save YOUR sanity, and YOUR money. Because NO ONE is going to help you without costing you $$$. A life lesson I have learned the VERY hard way. Thanks for the warning. I like the reasoning behind the “Cornerstone” approach and the gently tweaking to an article before updating (and changing the post date) that Joe talks about. Clearly its best to copy or clone the “live” site to a localhost setup, add the plugin Joe talks about and then make your changes followed by a period of “test, test, test”. Thanks for a very interesting article that I am sure I will find very useful in the future. To be honest I normally save your emails in a folder to read later and often don`t get around to doing so for ages, however having read this one I am going to make a point of reading all your posts as soon as you make them. It may interest you to know that I “Cut & paste” into a Onenote Notebook for future reference. Love the infographic. I would share it except for the misspellings. Yet another plugin. When you have a site glitch, the first step toward resolution is to disable plugins until the offender is isolated. That tells me that every plugin is a potential problem. Since few posts would need be converted to pages, I think it might be wiser to copy/paste or in the case of a complex page, recreate. I appreciate this tip. I love Divi. I am a lifer. I would prefer posts that can help us maximize our use of Divi’s modules (sans CSS and additional plugins). I am not sure I understand the whole thing under a SEO perspective: what happens with this plugin to the post name when it converts to page? is a 301 rule created int he htaccess automatically? I am a bit confused … can anyone explain? Great to know that this plugin is out there! I also find your blog articles extremely helpful and informative! On par, if not better than the regular WordPress-focused blogs. For a magazine type site with hundreds of reviews, guides, tips and news – would you use posts or pages? Was thinking of using categories – probably with the Divi Xtra theme – but don’t want it to appear too “bloggy”? SEO is top priority. I am a total newbie so any input on this is greatly appreciated. I have been wondering lately whether facebook treats posts and pages differently. In both instances I use a compelling photo, strong heading, etc, but pages just perform really badly on facebook. Does facebook know the difference between a page and a post, and prioritise accordingly? All and any info appreciated. This is interesting. I am thinking now to switch some of the best post to pages. Will changing from a post to a page affect the SEO negatively on the backend with Google? For example, is it like you’re starting over with a new page? As per @Joe points, It doesn’t hurt SEO negatively! Because it considers as a page which is static! A ‘static page’ will always rank higher than a regular ‘post page’! If you do SEO properly. Wow, this is what I was looking for my educational blog. Thanks Joe Fylan for this wonderful blog post. I have to really dive in into the details of Learn Press to understand its full capability. Anyways amazing and informative post. Thanks. Another reason to moving a post to a page is the URL. My WordPress posts have a year and a category, when I move a post to be a page ie an article which is less time dependent, I have the freedom to make the URL short and decide where in my site structure it will go. Just make sure you do a redirect. I have chosen to use pages over past as they typically are easier to customize. Thx for the post. After reading this i will change some posts to pages. And yes, it makes sense. Can you explain why copying from an existing post to a new page is not the “best approach?” Thanks.